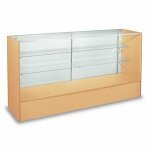 Store Service Counters are a must when closing any retail store transactions. 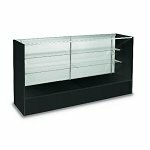 All Store Displays offers a wide range of sizes and colors for your counter-type needs that best fit your business. 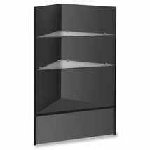 Store Fixtures can help you stay organized and offer an abundance of storage space for extra incidentals, equipment, and merchandise. 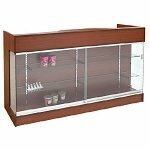 Ledgetop Counter With Slatwall Front 48"
Ledgetop Counter With Slatwall Front 72"
Keep pricing supplies, staplers and other products you need for your employee's to run an efficient check-out station. 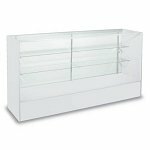 Cash Wraps and items like Checkout Counters and Displays, enclosed showcasing fixtures may come with color choices including black, cherry, maple, white, and gray to add a little style and finesse to your store. 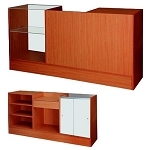 These units can be combined with other modular units to create a completely unique counter system. Checking out is the final step when shopping. 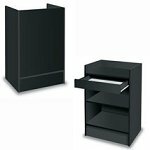 Be creative, simple, convenient and yet stylish with our required retail counters. 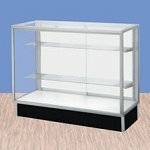 Add last minute impulse merchandise, jewelry display stands, candy and more. Impulse buying has never been easier, so gain the attention your products deserve just before your customers seal the sale. 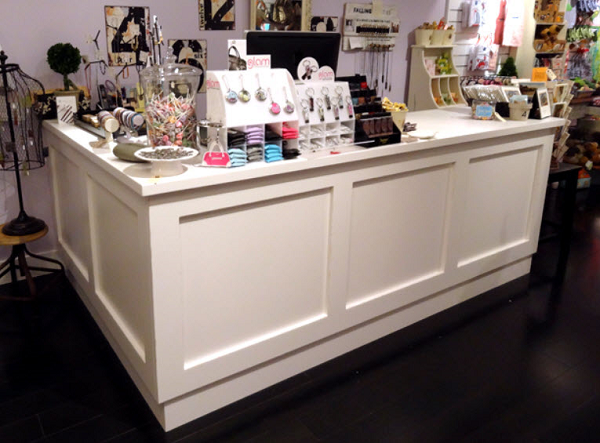 Our Ledge Counter with a slatwall front is perfect for adding metal hooks, acrylic bins and wooden shelves. 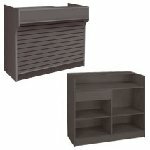 Ideal for make-up merchandise, wrapped candy, or special of the day's. 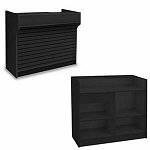 Rearrange your slatwall display for freshening the appeal of your checkout station whenever you choose. Connect two service counters and make it one with our Corner Displays. 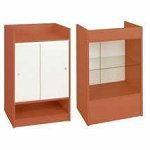 They too come with color options and a variety of shelf materials from glass or wood. 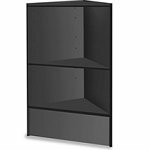 Shelves are adjustable giving you room to recreate for out of this world shapes. 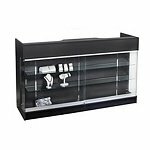 Have your cash register and other equipment sitting on an enclosed case with a glass front. 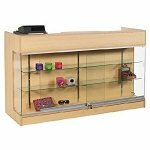 These Cash Register Stands allow for patrons to continue to shop and ogle over more merchandise. Need a place for your clients to check in for their appointments? 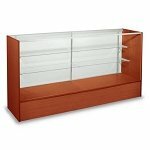 Store service counters are also useful outside of retail. 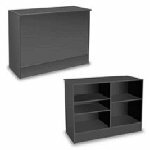 Business and medical offices benefit from professional edge that comes with a service counter. See our Reception Station! First impressions are everything! See out sleek designer fixture for spa's, medical offices, or the main floor lobby for potential buyers to ask the receptionist questions. 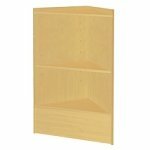 Professional appeal is just what you get when you include the right store fixtures. Patrons and window shoppers visibly view your establishment and judge unconsciously. Discover what we have to offer and more. Offer the perfect place to complete final transactions and possibly increase customer base and sale. 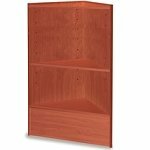 Stay organized for the next employee and customer. Come and shop with All Store Displays today and save!